This entry was posted on Monday, June 29th, 2009 at 4:57 am and is filed under Photography. You can follow any responses to this entry through the RSS 2.0 feed. You can leave a response, or trackback from your own site. A flycatcher sits on a branch by lake Tana, patiently waiting for me to take its picture. 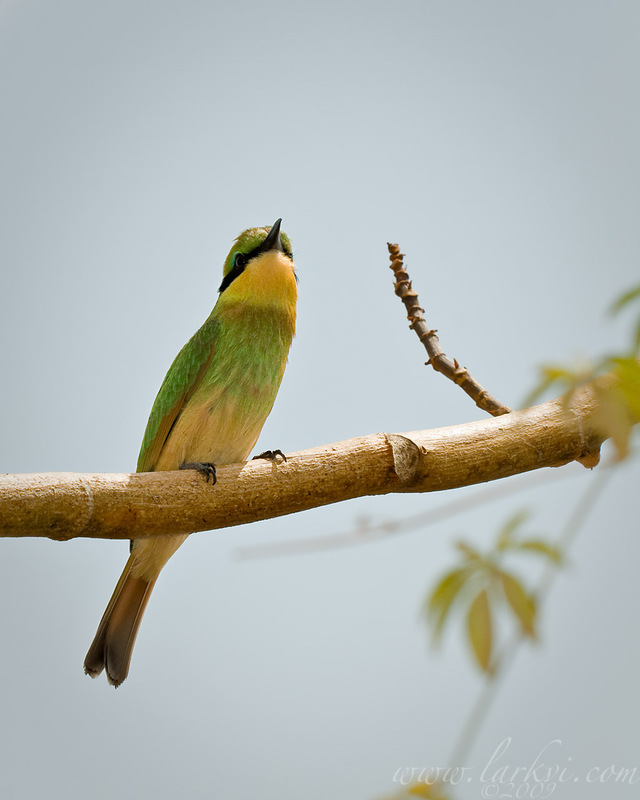 This was identified for me as a Little Green Bee-Eater (Merops orientalis), but I have had a chance to look at Birds of the Horn of Africa, and the distribution for the Little Green Bee Eater is wrong, and the Green one has green, not yellow, at the throat. I think it is a Little Bee-Eater, Merops pusillus.